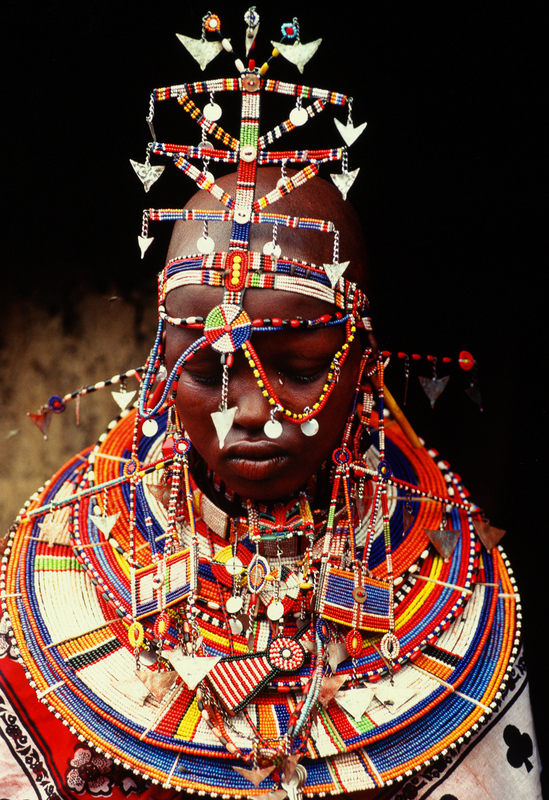 On the morning of her marriage, a Maasai bride is lovingly dressed by her mother. She is adorned with brightly beaded collar necklaces and elaborate head decorations. Traditionally, the bride shows great sorrow in leaving her family home; she is forbidden to look back, lest she turn to stone.